Mack, London, 2015. In English. 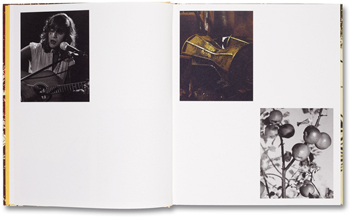 132 pp., 145 color plates, 9½x11¼". 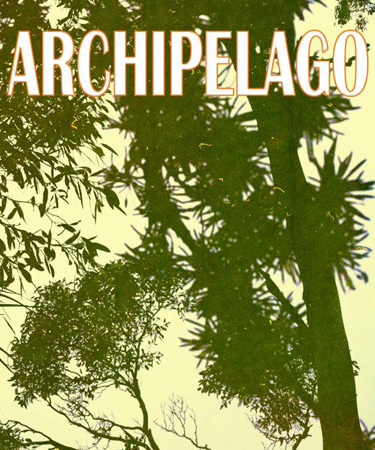 Archipelago is a journey into an interior, upriver, towards an enigmatic hinterland. At any one instance, Matthew Porter sets up correlations between disparate images, configured on each page like islands in an archipelago, clusters which form their own, indigenous subjects. Short texts, placed at intervals, reveal the connective tissue binding varied subjects – Jane Fonda and the Vietnam War, the Hawaiian Island of Kaua'i and Hollywood. What interests Porter is the legacy of the photographic image, and its capacity reach across history, to make intelligible to us what we already know, or, encountered at the right moment, that which we could not otherwise know. “Porter’s stills function like portals”, writes Lindsay Caplan, “obliquely suggestive of historical events, modernist styles, and codified genres, sometimes all at the same time… this very contemporary condition in which knowing too much and knowing too little invoke the same visceral state”. Matthew Porter (b.1975, Pennsylvania) received his BA from Bard College in 1998 and his MFA from Bard-ICP in 2006. Porter was profiled in The New York Times and included in the 'After Photoshop' exhibition at the Metropolitan Museum Art (New York, 2012), as well as the International Center of Photography Museum’s 'Perspectives 2010.' Recent exhibitions include “Greet the Dust” at M+B (Los Angeles), “High Difference” at Invisible Exports (New York), and group shows at Anonymous Gallery (Mexico City) and Koenig & Clinton (New York), and the Foam Museum in Amsterdam. Porter's curatorial projects include 'Seven Summits' at Mount Tremper Arts, 'The Crystal Chain' at INVISIBLE-EXPORTS, and 'Bedtime for Bonzo' at M+B, which was an ARTFORUM Critics' Pick in 2011. He is the co-editor of Blind Spot magazine Issue 45, and his writings and interviews have been featured in Triple Canopy, Blind Spot, At Large, ARTFORUM and Canteen. Porter teaches part time at Parsons The New School for Design in New York, and his work is included in the permanent collection of The Metropolitan Museum of Modern Art. Porter lives and works in Brooklyn, New York.